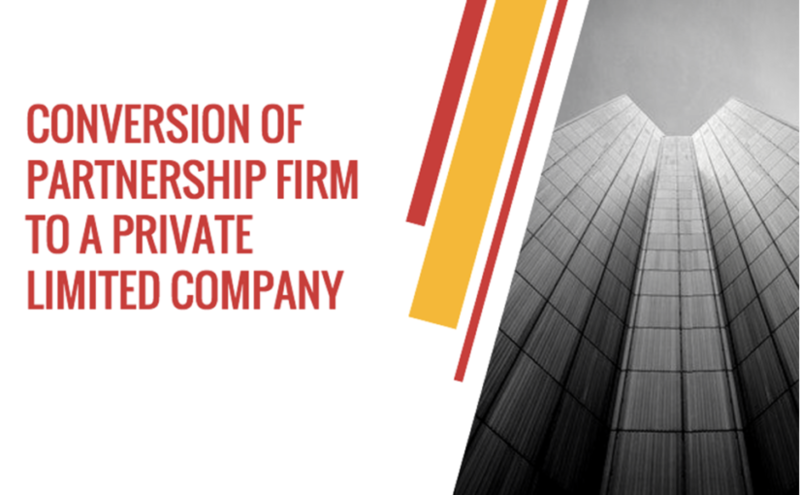 As we already know, a partnership firm has various limitations and the scope of expanding is very less as compared to a private limited company. Many partnership firms nowadays convert into Private Limited Companies for the various benefits that it offers like Limited Liability, Transferability of shares, easy access to funds, Perpetual Succession etc. 1. Goodwill: The goodwill of the Partnership firm is kept intact and continues to enjoy the same success story with the benefit of a better legal recognition. 2. Transfer of assets and liabilities:All the assets and liabilities of the firm immediately before the conversion become the assets and liabilities of the company. 4. Stamp Duty: No instrument of transfer is required to be executed (since all the property of the firm will vest in the company) and hence no stamp duty is required to be paid. 5. Carry Forward and Set off Losses and Unabsorbed Depreciation: The accumulated loss and any unabsorbed depreciation of Partnership firm is deemed to be loss/ depreciation of the successor company for the previous year in which conversion was effected. Such loss can be carried for further eight years in the hands of the successor company. A) The Concept of Joint Stock Company is Done Away. B) Definition of Company has wider Meaning and implication. (Part I, Chapter XXI of CA, 2013). I.e. word “company” includes any partnership firm, limited liability partnership, cooperative society, society or any other business entity formed under any other law for the time being in force which applies for registration under this Part. C) Section 565 to 581, Part IX of Companies Act, 1956 is have been omitted. The Concept was famously know as PART XI companies. c) Minimum Share Capital shall be Rs. 500,000 (INR five Lac) for conversion into a Public Limited Co. The partners shall become the shareholders of the newly formed company in the same proportions as their capital accounts stood in the book of the firm as on the date of conversion. The only way by which partners receive consideration is by way of allotment of shares in company and the partners share holding in the company in aggregate shall be more or equal to 50% of its total voting power and continue to be as such for 5 years from the date of conversion. Assent of majority of its partners is required ( as are present for the purpose of registering the firm under the Companies Act, 2013). Since the liability of the members of the firm is unlimited, when a firm desires to register itself as a company as a limited company, the assent of the majority is required, not less than ¾ of the partners should be present in person (proxies are allowed). An application in Form needs to be filed with the Registrar of Companies (ROC) in Form INC-1 with various attachments stating the fact that the partnership firm is pro­posed to be converted under the Companies Act. For the purpose of clause (b) of section 374 of the Act, every ‘company’ seeking registration under the provision of Part I of Chapter XXI shall publish an advertisement about registration under the said Part, seeking objections, if any within twenty one clear days from the date of publication of notice and the said advertisement shall be in Form No. URC. 2, which shall be published in a newspaper, in English and in the principal vernacular language of the district in which Limited Liability Partnership is in existence and should be circulated in that district. File an affidavit, duly notarised, from all the ] partners to provide that in the event of registration, necessary documents or papers shall be submitted to the registering or other authority with which the company was earlier registered, for its dissolution as partnership firm, limited liability partnership, cooperative society, society or any other business entity, as the case may be. g) Written consent or No Objection Certificate from all the secured creditors of the applicant. h) Written consent from the majority of members whether present in person or by proxy at a general meeting agreeing for registration under this part. 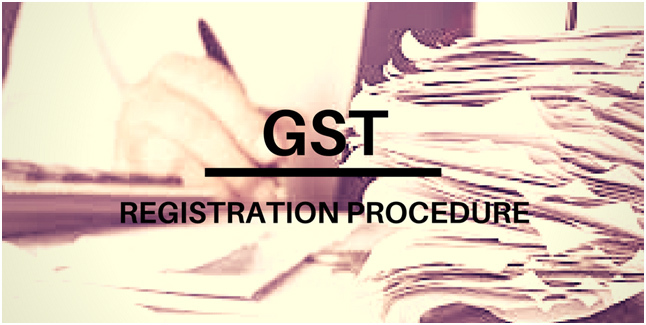 *Where a firm has obtained a certificate of registration under section 367, an intimation to this effect shall be given within fifteen days of such registration to the concerned Registrar of firms under which it was originally registered, along with papers for its dissolution as a firm. Thus, with the need of the hour, more and more partnerships are expanding and turning into private limited companies for the purpose of corporisation for the various benefits that it offers. For help and assistance, visit us at www.gapeseedconsulting.com or call us at +919599444639. As the Finance Minister of India , Mr. Arun Jaitley, got up to deliver the Union Budget for the Financial Year 2017-2018, every Business Man in the country was waiting for the Tax Reforms. 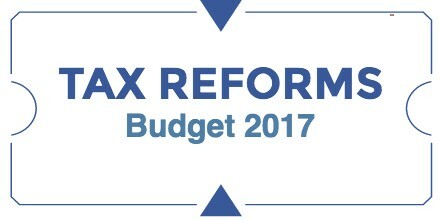 The Direct Tax Reforms given in the budget dated 1st Feb’2017 will be applicable in the F.Y. 2017-18 or A.Y 2018-19. Some crucial and evident changes have been made by the Government for the Small and Medium Scale Business in the budget. As per the Narendra Modi Government, the Tax Revenue of the central Government from Direct Tax Collection has gone up by 17% in F.Y. 2015-16 as compared to F.Y. 2014-15, and the rate of growth in advance tax in personal income tax domains for the F.Y. 2016-17 has increased by 34.81% till 20th Jan’2017 as compared to F.Y 2015-16. We have decoded the key changes proposed in the Union Budget announced by the Finance Minister on February 1, 2017. 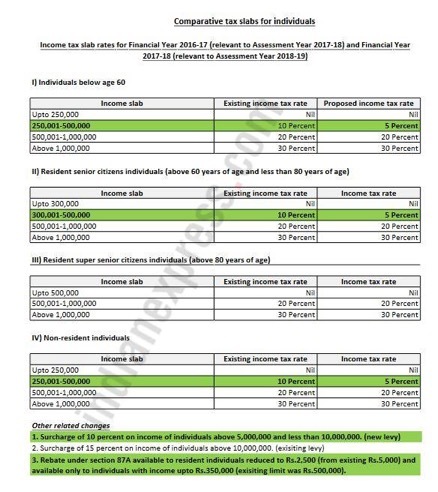 It has been proposed to reduce the tax rate for taxable income less than Rs 500,000 from current 10% to 5% benefiting Individuals (resident/ non-resident) below the age of 60 years and Individuals (resident/ non-resident) above the age of 60 years and below the age of 80 years. Rebate under section 87A of the Income-tax Act, 1961 (“the Act”) is proposed to be reduced from Rs 5,000 to Rs 2,500. It has also been proposed to restrict such rebate to resident individuals whose total income does not exceed Rs 350,000 (earlier Rs 500,000). Considering the above amendments, the net benefit arising to an individual with taxable income of Rs 350,000 and Rs 500,000 is Rs 2,575 and Rs 7,725 respectively. The existing provision of section 10(12A) of the Act provides that payment from National Pension System (“NPS”) trust to an employee on closure of his account or opting out shall be exempt up to 40% of total amount payable to him. In order to provide relief to an employee who is a subscriber of NPS, it is proposed to provide exemption for partial withdrawal not exceeding 25% of the contribution made by an employee in accordance with the terms and conditions specified under Pension Fund Regulatory and Development Authority Act, 2013 and regulations made thereunder. In order to bring about parity between an individual who is an employee and an individual who is self-employed, it is proposed to amend section 80CCD of the Act so as to increase the upper limit of 10% of Gross Total Income (“GTI”) to 20% in case of individual who is self-employed. Accordingly, for a self-employed individual, contributions to NPS to the extent of 20 percent of his/ her GTI will now be allowed. As per the existing provision of the Act, withholding tax obligation on rent payments arises only in case of individuals or HUF who are liable to tax audit. It is proposed that individual or HUF not liable for tax audit will now be required to withhold tax at the rate of 5%, if the rent exceeds Rs 50,000 per month or part of month on payment of rent. Also Tax deduction and collection Account Number (“TAN”) will not be required to be obtained. Further, tax would be required to be withheld only once during the previous year in the last installment payable for the year. In addition to the above, it is proposed that under section 206AA of the Act, maximum deduction shall not exceed the rent payable for the last month of the previous year/ last month of tenancy. Existing provisions gave the assesse an option to consider Fair Market Value (“FMV”) as on April 1, 1981 for capital assets acquired before the said date. It has been proposed to shift the base to April 1, 2001. Accordingly assesses have an option to consider cost or FMV as on April 1, 2001 as their cost in respect of assets acquired on or before April 1, 2001. Further, for the purpose of computing indexed cost of acquisition, 2001 shall be considered as the base year. It is proposed to amend section 2(42A) of the Act to reduce the holding period from existing 36 months to 24 months in case of immovable property being land and building or both to quality as long term capital asset. It is proposed to provide exemption under section 54EC of the Act on investment of long term capital gains in any bond redeemable after three years that shall be notified by the central government. This will be in addition to investments in NHAI bonds and RECL bonds where exemption was allowed on investment up to Rs 5,000,000. In order to promote digital transactions and to encourage small unorganized business to accept digital payments, it is proposed to amend section 44AD of the Act to reduce the existing rate of deemed total income of 8% to 6% in respect of turnover or gross receipts received by an account payee cheque or account payee bank draft or use of electronic clearing system through a bank account during the previous year or before the due date specified in sub-section (1) of section 139 in respect of that previous year. However, the existing rate of deemed profit of 8% referred to in section 44AD of the Act, shall continue to apply in respect of total turnover or gross receipts received in any other mode. Employee’s Provident Fund is a scheme which helps in providing financial assistance to the workers by saving their own money for future use after retirement. This scheme of Employee Provident Fund has been carried forward by the government for the welfare of its retired citizens and also for those who are disabled to work. The employees and their employers have to contribute a fixed amount of money from their salaries at a constant rate within a particular time interval in the Provident Fund to get interests after retirement. When the Provident Fund matures, it provides a good return and interest of the invested money as the money received will be Tax-free. The Employees Provident Fund can also be used before retirement in case of an emergency such as when a person is unfit for employment, this provides a type of monetary security to the employee. This scheme is growing at an increasing speed and is backed by many intellectual people in the business and finance industry. • A company or any other Business entity having 20 or more employees working for the business must register for the Employee’s Provident Fund. • The employers and the employees have to issue an amount of Rs.1800 per month into their Employees Provident Fund. • When the amount has been transferred into the Employees Provident Fund, a small contribution is also made to the Pension, Insurance and Administrative Cost account. • In case of a company which has more losses than its entire net worth can contribute 10% of their compensations in their Employees Provident Fund. • An employee working under any company is qualified to participate in the scheme of Employees Provident Fund. • Any company having 20 or more employees is eligible of participating in this scheme. • Whenever an employee exceeds the amount of Rs.6500 in their salaries, then they have the eligibility to join the scheme with the permission of its employer. • When a person becomes the member of this scheme, they have to contribute 12% of their rewards in the Employees Provident Fund. In most of the organisations employee’s insurance schemes are not available to the employees of the company, Employees Provident Fund provides that scheme for the security and stability of the employee in the future. For getting insured, the business entity just need to provide a sum of Rs.6500 on a monthly basis to ensure an insurance premium benefit. Insurance helps an employee in case of an emergency, also provides a good amount of money after maturity for the survival of their family. When an employee has retired, and does not have any source of monetary income, pension provides that source for the employee. A part of the employees pay also goes into the Employee’s Pension Fund, which provides an employee a sense of security after retirement. Upon maturity of the Employees Provident Fund, the interest received by the employee’s will be tax free. This results in proper stability and security of employees as they get vast interest on their invested amount. The Employees Provident Fund provides financial security for the employees at the time of retirement, emergencies and at loss of income. Employees Provident Fund provides a source of financial assistance to the retired personnel as well as gives funds to the employee to meet their requirements in case of an emergency, early drawings are allowed only in case of an emergency. When an employee cannot work, or has any disability to work, provident fund helps them to overcome their loss of income and provides means to survive. Also, if the employee has passed away then the funds are passed on to their applicant to provide them with financial assistance. 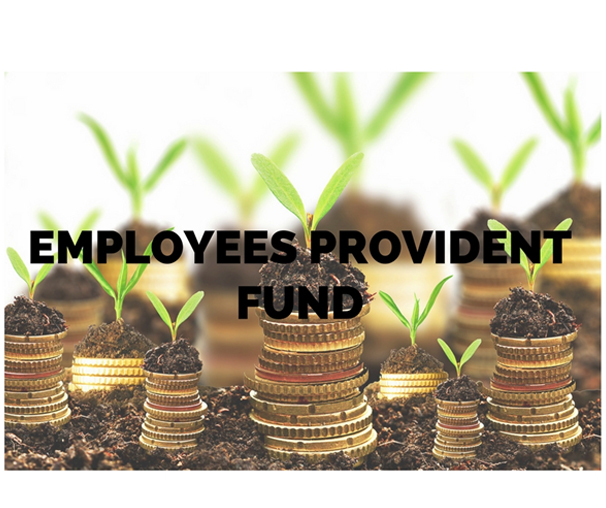 The Employees Provident Fund allows the employees to have some kind of monetary security in the long run, it also ensures that the employee can have certain investment or any other goal after retirement. Resources can also be borrowed in the Long Run for marriage, education, medical reasons and also for housing purposes. Employees Provident Fund also provides the benefit of withdrawal to the employee. An employee can withdraw their money only when they are unemployed, self-employed or have left the current job to work in another company. In case of any emergency, an employee can withdraw the amount in its provident fund before the time of maturity. Pre-mature withdrawal can also be treated as a loan as an employee can use the money for education, marriage, medical expenses. These withdrawals must not be more than 50% of the amount in the provident fund. An employee can also transfer its provident fund account rather than closing it whenever they are leaving their current job and joining a new employer. Transferring of the funds from an old account to a new one is a better option because if an account is closed before 5 years then the money contributed in that account will then become tax deductible whereas by transferring of funds, an employee will get the money in full at maturity. • The company must provide the name, address, branch details, head office details and the Date on which the company was established. • The organisation must also provide the total strength of employees working as well as the services provided by the company. • They must also provide the legal proof that if the company is a partnership, private limited company or a public limited. • The total salary distribution to the employees of the company must be provided with the details of the bank in which the company has its account. • The Directors or the owners of the company have to provide legal documents to prove that the documents are verified. The address of all the owners must be given with the details of all the employees including date of joining, salary. • A copy of the partnership deed must be given to prove that the company is registered with the Registrar of Companies. • PAN details of the Business entity must also be provided. Tips to retain the best of your employees. 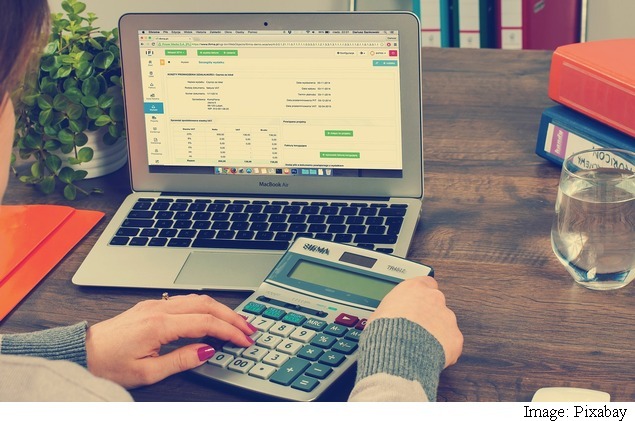 Simple Tips to Design a Salary Structure For an Employee. Once you have set your business and are on the stages of expanding it many of the entrepreneurs wonder whether they should make foreign investments or operations or not. When it comes to an international market operation things get a bit complicated as it creates a variety of structures at the same time you need to select the right tax advisor that has competency in that particular commercial area. The boundaries of international taxation has been increasing this is where the international taxation consultancy is require who can tackle all the compliances related to international taxation. 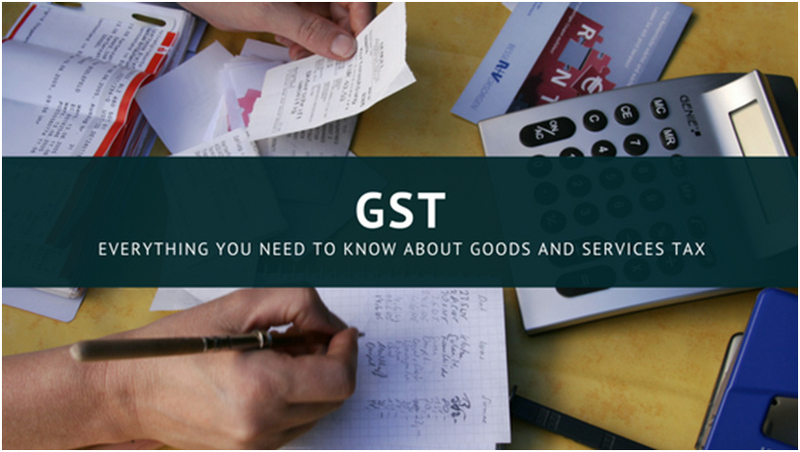 We at Gapeseed Consulting provide all required services which give all the solutions related to International Taxation Consultancy, we can help you understand your tax situation; you must first work out whether you are an Indian resident for tax purposes. Indian residents are generally taxed on their worldwide income from all sources. Foreign residents are generally taxed only on their Indian-sourced income, such as money they earn working in India. Tax authorities are everywhere and are always eager to get revenue, not only that but they are imposing new, stricter transfer-pricing documentation requirements on companies – and sharply escalating audits and inspections – with significant penalties for non-compliance. Meanwhile, as you expand your operations to compete on an international scale, your cross-border transactions – sales of goods, provisions of services, licensing of intellectual property, lending of funds, etc. – will continue to grow in frequency and complexity. At Gapeseed Consulting we understand the increasing globalisation, faced with increasingly burdensome compliance globally. In many businesses a new sense of urgency about maintaining effective and consistent transfer pricing documentation across all tax jurisdictions in which they do business. Our international taxation consultancy tax dispute resolution network assists taxpayers in this emerging area. We can work with you to efficiently manage, and favourably resolve tax audits and disputes throughout the world. 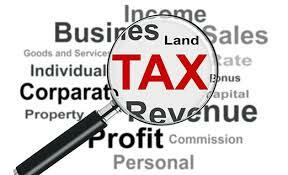 We have tax specialists to assist our clients in virtually every area of dispute. We combine deep technical understanding, local knowledge and strong relationships with government officials, tax litigation experience, and a global perspective to provide you with best of the services. We can help your company to obtain advance pricing agreement covering a broad range of intercompany transactions. We have our professionals who hail from industry, and with foreign governments—including senior-level positions in governmental agencies responsible for administering advance pricing agreement. We can work with you to develop strategies at both the global and local level, and guide you through the process of requesting advance pricing agreement to help you ensure successful outcomes. Our experienced team of IP and intangible asset valuers apply commercial valuation principles and adopt a range of complex valuation methodologies to produce robust analysis to assist in negotiations, decision making, legal disputes and investment analysis. We have in-depth sector experience across a broad range of industries and are therefore familiar with working alongside marketing, sales, technical and research staff to gain a deep insight into the subject IP. Valuing a brand or other IP in relation to a potential sale or licensing agreement. Considering the value of brand, technology or other assets in the context of a contribution to a joint venture or alliance. Valuing IP / intangible assets for financial reporting purposes under international, US and UK accounting standards. Providing independent valuations of IP for commercial disputes or expert witness reports. Assessing the market value of IP/intangible assets for tax purposes. return for income earned from 1st April 2015 to 31st March 2016. If you’re looking forward to get some assistance on filing your Income Tax Return Gapeseed Consulting can help you with knowing different ITR Forms and filing the same. You could read more on our website here. 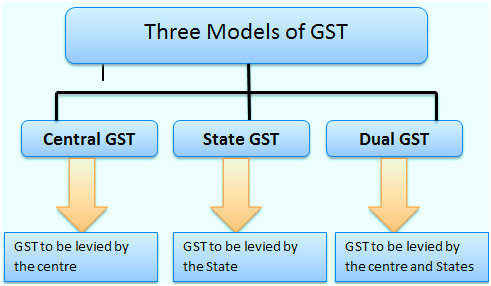 To figure out which ITR you need, read below to know more. If you own any asset for any financial interest or have an account located outside India you cannot use this return form also if you have exempt income which is more than Rs. 5,000, you cannot use ITR-1. Income from salary and has more than one house property but does not have any capital gains. People with long term capital gains securities on which transaction tax is paid. NRIs if they do not have any foreign assets. If you have any asset which lies outside India. If you have an earning source outside India. Income from Other Sources which includes winnings from Lottery and income from Race Horses. The Return Form should not be used by an individual whose total income for the assessment year 2015-16 includes Income from Business or Profession or if you receive remuneration as a Partner in a Partnership Firm or LLP. If you lie among anyone if the following categories you need to declare these types of incomes under ITR-3, ITR 4 or ITR-4S. This Return Form is to be used by an individual or an Hindu Undivided Family who is a partner in a Partnership Firm or LLP and where income chargeable to income-tax under the head, profits or gains of business or professional does not include any income except the income by way of any interest, salary, bonus, commission or remuneration, by whatever name called, due to or received by them from such firm. Only this form is to be used in case a partner in the firm does not have any income from the firm by way of interest, salary, etc. and has only exempt income by way of share in the profit of the firm and not Form ITR-2. If your total income is from Business or Profession under any proprietorship then this Return Form should not be used. This Income tax Return to be filed by individuals, HUF and small business taxpayers having presumptive business income, salary/pension, one house property or income from other sources. You cannot use this form if the individual has more than one house property, speculative income, agriculture income more than Rs 5000, capital gains. For individuals and HUFs having income from a proprietory business or profession. For persons including companies under section 139(4A) or section 139(4B) or section 139(4C) or section 139(4D). Click here to drop us a line if you have any questions regarding tax filing online.